Valerie Wakefield recommends Latneys Boarding Kennels. Latneys Boarding Kennels really go the extra mile with their boarding service. Nothing is too much trouble in making sure my beloved, elderly Lhasa is comfortable for her stay there. Both my dog and I suffer from separation anxiety but team all seem so kind and caring and I am sure my little pooch appreciates that, In know I sure do! Zoe James recommends Latneys Boarding Kennels. So happy with the service, my basset hound had his first stay last week, the staff where really accommodating, he came back happy and smelling amazing. Due to a miscommunication at the vets with injections, the owner said he would get our basset to vets whilst we was away and made me feel as though it wasn’t a problem and saved us a lot of stress! Little things like these they didn’t need to do but made all the difference and shows that they care to go above and beyond. I will 100% use latneys again and recommend them to anyone who needs boarding for their dogs! Pam Bell recommends Latneys Boarding Kennels. My German Shepherd puppy always greets the staff with a big cuddle assume this means she is very happy to see all the staff when she goes to Latneys!! 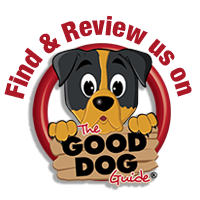 Thoroughly recommend this is a very well organised kennels having researched thoroughly i wouldn’t send my dogs anywhere else. I’ve left my two much loved staffs at Latneys 3 times, I picked them up yesterday as usual they came home happy and relaxed and smelling gorgeous.The staff are helpful and happy.I would not leave my dogs anywhere else. Ryan Clark recommends Latneys Boarding Kennels. This is the best kennels by far if you want to board your pet anywhere while your on a short break or holiday! Staff and management are friendly and really do look after your pets like their own! Always use these kennels staff are amazing and they are like home for the dog. Our dog Bruno loves it there, he gets treated So well even when we drive past Latneys in the car to go on our walk he gets excited. We have taken Bruno to other kennels in the past before Latneys and he has hated it, we wouldn’t dream of taking him anywhere else now. Thank you so much Latneys for always being there when we need you. Latneys cattery Fantastic Facility, Brilliant Cattery. Our two dogs stayed at this wonderful kennels for the first time in June, and were looked after extremely well by the very kind and caring staff. The kennels were spotlessly clean and I am pleased to report that our dogs came out very happy. 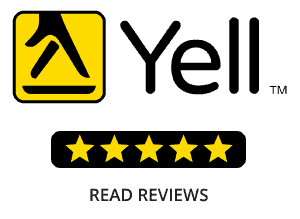 We will definitely be using them again and would very highly recommend them. Thank you So much as our faith has been put back in to leaving our dogs again after a bad experience with a home Boarder. Well worth a visit as Latneys can not be any more Helpful. Thank you so much Latneys for looking after my two dogs and two cats at last minute as I was let down by my Original Kennels last minute. I must say I was very nervous about leaving my dogs and cats in a different Kennels but I had heard good things about Latneys. They insisted on Kennel cough Vaccination which I have not had done before So I went to the vets had it done, I just asked as a worried animal lover that I was going to Latneys Kennels and cattery the reply from the vet was then you will be fine most of my staff use Latneys they are excellent. Absolutely fantastic! Cannot recommend Latneys cattery enough. Brilliant service the staff are so friendly and approachable there accommodating is stunning the best we have ever seen. As my Husband is in the armed forces we are always moving around. the staff genuinely care so much about our Cats. We have Recommended Latneys to all our friends and colleagues on the base for there dogs and cats they are also so impressed. Thankfully we are in Colchester for the next few years so we have our minds put at ease and continue to use Latneys. Many Thanks to all the staff that look after our cats. After a previous bad experience of putting our dog in kennels, I was reluctant to leave him but my fears were put to bed. He loves going to Latneys and he is happy, he can be a fussy eater but he always comes home clean and no weight loss. I can’t speak highly enough of the staff they are so friendly and Professional our dog is happy and he barks all the way down there drive and pulls to go the kennels with the staff. Excellent Kennels there facility and service are Fantastic. I don’t normally wright reviews but I am so happy that I have found a good Kennels cant review highly enough. 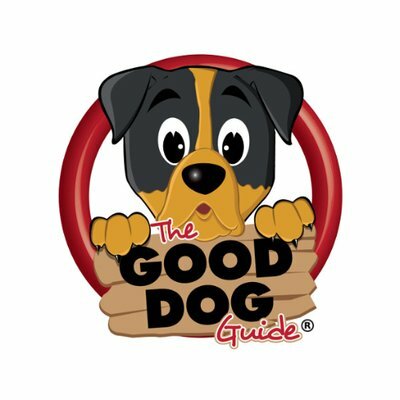 I am new to Chelmsford and I wanted a good Kennels for my dogs so I asked around and Latneys was mentioned more than once so I decided to give them a try. What really made it for me was when they told me to come for a viewing and just turn up in there opening times and a member of staff will show them around NO APPOINTMENT NEEDED. when I got there I was met by a very nice girl who showed me down the kennels it was Very clean and no smells unlike some I have been to see. So I booked in my two dogs. my dogs are well looked after at home but can be funny with there food so I told the young lady when I checked them in, masiy normally looses wait in kennels. I went away had a lovely Holiday and when I came to collect the dogs masiy had held her weight perfectly and they were happy and they had been bathed, I asked how much the bath was and was told all dogs are bathed when they come home free of charge. I must say I have now used Latneys several times and find there service Fantastic. I have used Latneys with my diabetic westie max and he is so happy in Kennels also it lets us go away with the comfort that he will be well looked after and his medical needs met.